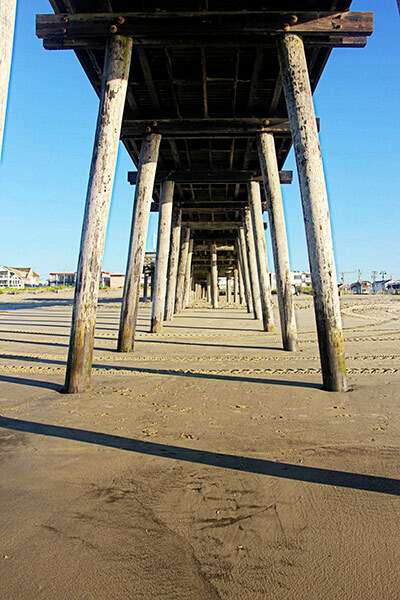 Taken from the underside of the 14th Street fishing pier. I've shot this before, but always facing the ocean. From a strictly composition perspective, it is a lot more interesting facing toward town. The tents where the umbrellas for beach rental are stored. And the big locked box to the left is where the beach chairs are stored. 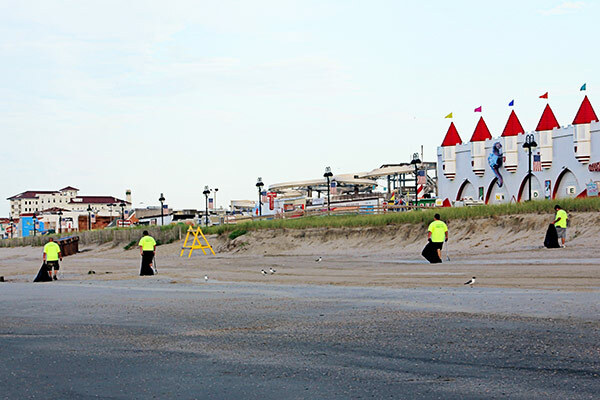 It is always nice to see that our beach tag fees are being put to good use! Not sure if these are paid employees or folks doing community service. Either way, I love how clean Ocean City beaches are. So wonderful that you were able to get your photos back! Great shot of the architectural columns, and not the usual variety either! It's wonderful when you can retrieve photos. And these are some genuine beauties. I really liked the columns. Those were so different and clever. 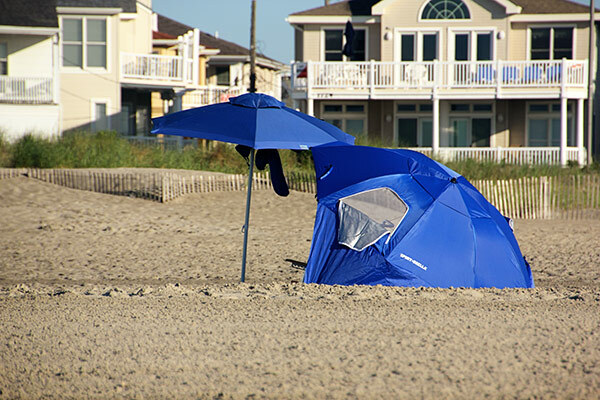 You are funny, too, with your "bring your own shade" comment! 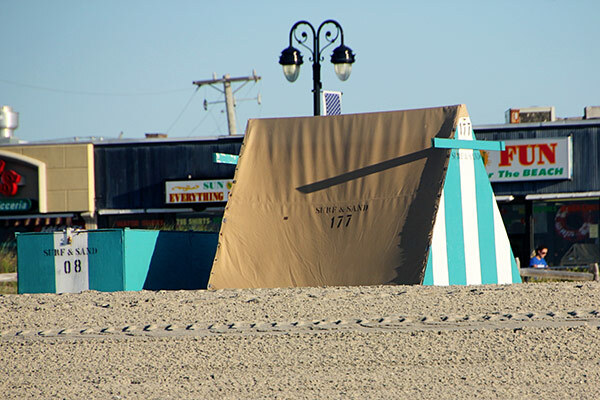 I think I need to come out sometime & take a trip to Ocean City!!?!! Glad you were able to find these, as they are great! Great finds!!! And it reminds me that I should work on my scavenger hunt photos. I went through the list while on vacation and shot quite some of those, but I need to organize them and put them in a blodpost!